I know the Ostwind was the most successful AA tank, but othe AA tanks where more often and also deserve a place in FH. I bring forth the "Möbelwagen"
There are several more, but these would definately best. So maybe people think flakpanzer are not useful, but I think they are pretty much. pretty nice pics. those would be cool. I think the germans already got a flak panzer. InsaneJakesterpretty nice pics. those would be cool. I think the germans already got a flak panzer. Yep, as I said they got the Ostwind. You find it at Alpenfestung i.E. I have been asking for the Wirbelwind to counter later war maps where the Germans should have very little aircraft. After D-day the Germans should have no aircraft or only 1 or two but should get a crazy amount of AAA on 1/2 tracks and Tank chassis to make life difficult for the Allied aircraft. Anlushac11I have been asking for the Wirbelwind to counter later war maps where the Germans should have very little aircraft. After D-day the Germans should have no aircraft or only 1 or two but should get a crazy amount of AAA on 1/2 tracks and Tank chassis to make life difficult for the Allied aircraft. 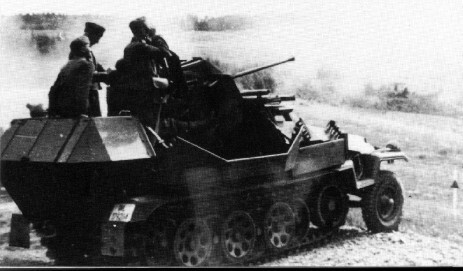 Totally agree, some interesting AAA mounted on halftracks would be nice and easy to do. 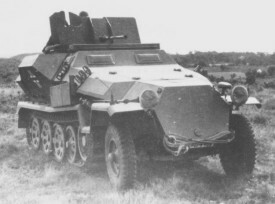 And the Sdkfz. 251/17 with 20mm Flak 38.
agreed that the germans need more AA, But the Gepard thing looks a hell of a lot like the allied Bofors on the sherman in Alpenwhateveritcalled. so it should be to hard to make that. PanzerAceagreed that the germans need more AA, But the Gepard thing looks a hell of a lot like the allied Bofors on the sherman in Alpenwhateveritcalled. so it should be to hard to make that. Nope, that thing on Alpen is the ostwind. 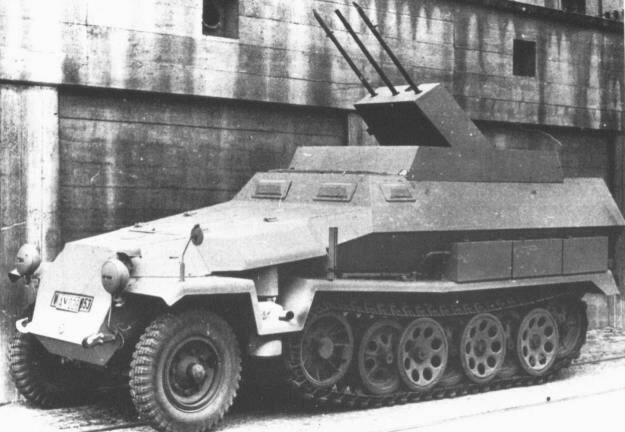 And the Ostwind has a 37mm Flak 43 and not a 20 mm Flak 38 like the Gepard. the_moveNope, that thing on Alpen is the ostwind.